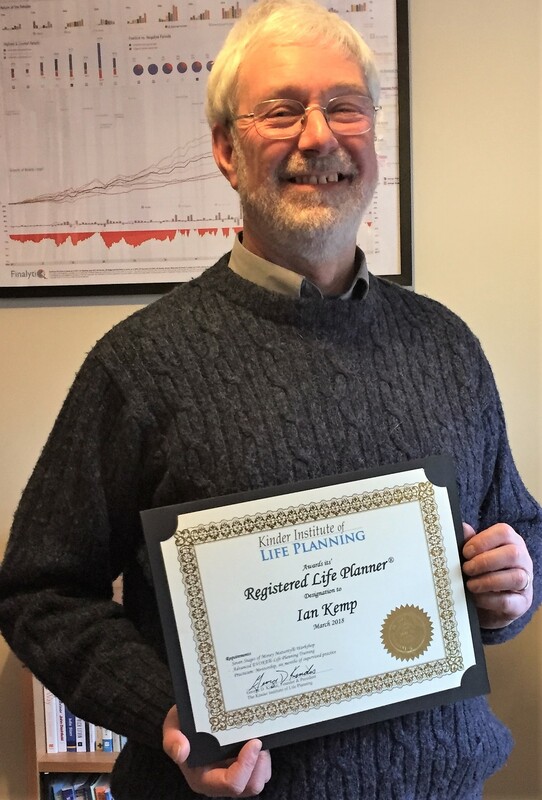 A momentous day for our financial life planner Ian Kemp! After 12 months of challenging study and training, Ian has become a Registered Life Planner with The Kinder Institute of Life Planning. The culmination of a journey for Ian as he finds better ways of supporting and helping clients live more fulfilling lives. Traditional financial advisers focus on the numbers – pensions, investments, insurance, taxes – but without looking at the bigger picture. Here at Serenity, all our financial life Planners focus on you achieving your most meaningful and deeply felt dreams and aspirations and utilise your money to bring it all to life. Ian is delighted to achieve this award and become a Serenity Registered Life Planner.